Custom carts and order templates within your insight.com account give you quicker access to collections of preferred and frequently purchased products. You can view individual component details and add the saved items to your active cart. These saved cart and order template features allow you to make batches of items for comparison and faster checkout. While browsing insight.com products, add items to your shopping cart that you’d like to save together for a single purchase in the future. Once you’ve added all of the products you want to keep within a saved cart or order template, go to your shopping cart. You can access your active cart by clicking the Cart logo. Save the cart from the main page of your active cart. Select Save cart contents. A window will appear asking you to name the saved cart. After you enter a name and select Save, the cart contents will be added to your dashboard as a single group. 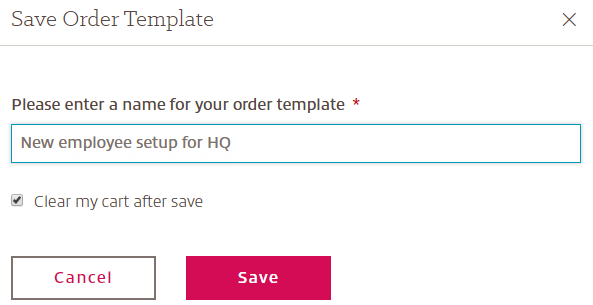 To create an order template, select Proceed to checkout from the main page of your active cart. Continue with the checkout process, filling in additional information — such as shipping details and company standards — you want included with the order template to speed future purchases. Select Save order template and add a name. 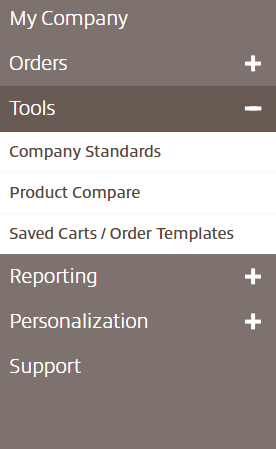 Access your saved carts and order templates on the Account tools menu on the main page of your e-commerce account. For each saved cart or order template, you’ll see its name, the number of items it includes, its creation date and options to add the group to your active cart or delete it. You can view the contents of the cart or template when you select the down arrow. A saved cart includes the name, unit price and quantity of each item saved within the cart. You can add a saved cart to your active cart at any time for purchasing. 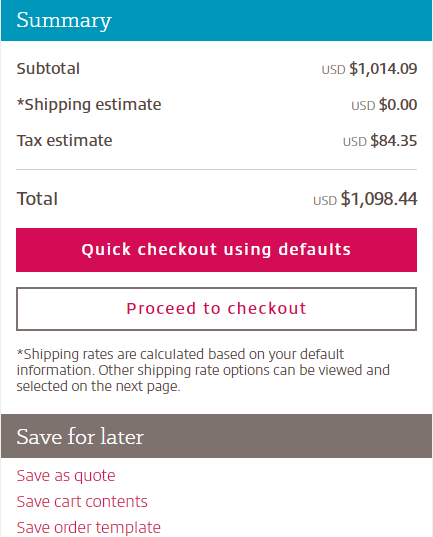 Order templates contain details used to purchase products through insight.com, except payment information. Adding an order template to your active cart streamlines the checkout process because the order already includes important details such as shipping information and company standards. Q: What’s the difference between a saved cart and an order template? A: A saved cart is quick to create and only contains the name, unit price and quantity of each product you’re buying. Order templates include product information as well as custom details, such as shipping information, to streamline the ordering process. Q: What custom details can be saved in an order template? A: You can include the shipping address, shipping options, order notes and billing address in an order template. Credit card information and other payment data cannot be included. Q: How many items can I add to a saved cart or order template? A: You can include as many items as you like in a saved cart or order template. When saving a cart or creating an order template, make sure you include all of the items you want before saving. Q: Can I update a saved cart or order template? A: Once a saved cart or order template is created, it can’t be changed. However, you can add a saved cart or order template you wish to update to your active cart. Then, you can add or remove products from your active cart and save it as a new cart or order template. Q: Why can’t I save carts and order templates during the checkout process? A: You can only save carts and order templates if that permission is enabled for your user account. You won’t see saved carts or order templates on your dashboard if you haven’t created any or if you don’t have permission for that feature. Q: How do I get access to the saved carts and order templates features? A: Reach out to your e-commerce specialist to turn on permission for the saved carts and order templates features. Q: How long can I have a saved cart on my account dashboard? A: A saved cart can remain on your dashboard for three years from its creation date. Next to the name of your saved cart, you can view the date it was created. Q: How do I purchase the products in a saved cart or order template? A: Select the Add to cart button in the saved carts and order templates dashboard for the group you want to purchase. The items from the saved cart or order template you chose will appear in your active cart. Q: What happened to the items in my active cart after I created a saved cart or order template? A: Your active cart was automatically cleared once you named and saved the order template or cart. In the window where you named the items, you should see a box below the naming field you can uncheck before saving your cart or order template. When the box is unchecked, the items you selected will stay in your active cart after you’ve saved them in a cart or order template. Ready to streamline your ordering process? Insight.com provides the tools you need to manage and control IT at the speed of business. Can I save my shopping cart, and is there a time limit?